Several sled-pulling breeds have become popular pets. Siberian huskies, for example, are the 12th most common breed, according to the American Kennel Club (AKC). But for some families, another sled dog — the Alaskan malamute (who ranks 59th in terms of popularity) — may be a better choice. 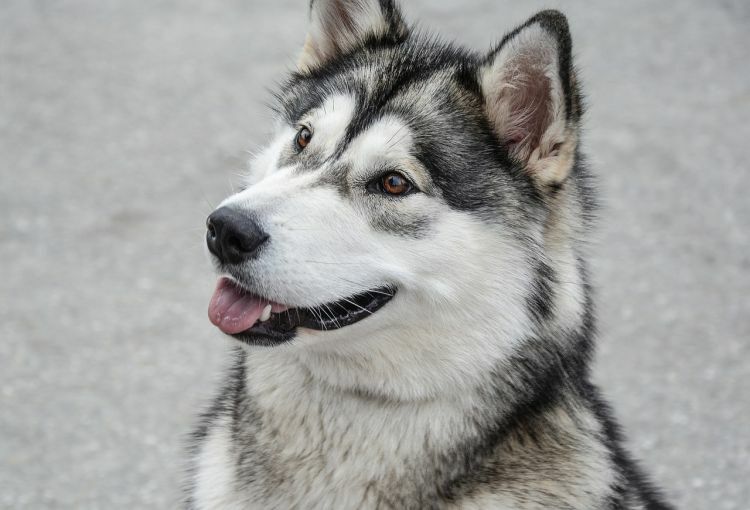 We’ll introduce you to the malamute below and tell you everything you need to know about the breed so that you can decide if one would make a good addition to your family. 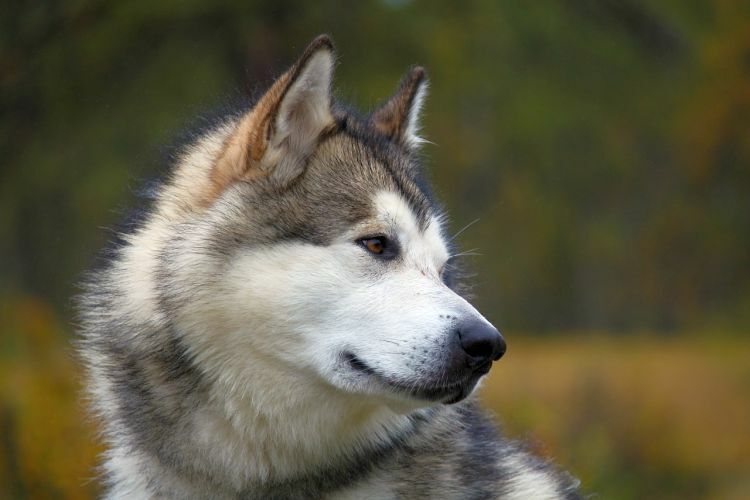 Like most other arctic sled dogs, malamutes trace their ancestry back to Siberia. However, it wasn’t until their owners – a nomadic tribe known as the Mahlemuts – settled in the Seward Peninsula of Alaska that the breed began to develop a unique identity, which differed from their Siberian ancestors. In addition to pulling sleds across ice and snow, these dogs were expected to assist in hunting tasks and to protect their humans from polar bears and wolves. Unlike many of the other sled dogs living in Alaska, who’s gene pools intermingled with other breeds as explorers began reaching Alaska, the Mahlemut people lived in relative isolation, so the malamute gene pool remained relatively untainted by other breeds. Eventually, malamutes began making their way to the mainland U.S., which helped their popularity explode. 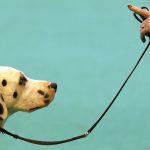 The breed gained AKC recognition in 1935, and they’ve been kept as companion animals ever since. Alaskan malamutes are larger than many other sled-pulling breeds, and their thick, fluffy coats make them appear even larger than they are. Most stand about 2 feet tall at the shoulder, and they usually weigh at least 75 pounds. However, some malamutes grow larger than this, and many will approach or exceed 100 pounds in weight. It’s difficult to suppress a smile in the presence of a good malamute. They’re among the friendliest dogs in the world, and they have a playful, slightly goofy nature that makes them very endearing. Malamutes tend to bond relatively strongly with their families, but they make friends with ease. Ironically, malamutes do not tolerate being away from their families very well, but they won’t hesitate to wander off and explore on their own. In other words, they want to hang out with you – but it has to be on their terms. Most malamutes make good playmates for older kids, although they can be a bit too rambunctious for young children. Care must be exercised when introducing them to smaller dogs or cats, as they have a very well-developed prey drive. In fact, it is imperative that you keep your malamute leashed during walks, as they’ll instantly take off in pursuit of squirrels, birds or other small critters. Malamutes are high-energy dogs, who need an outlet for their drive to work. If deprived of sufficient stimulation and exercise, they’ll quickly develop destructive habits. 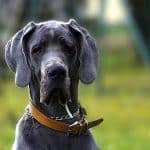 They are an intelligent breed, but they have a stubborn, independent streak which makes them more challenging to train than some other breeds. But despite their numerous positive traits, malamutes are generally not considered a good choice for first-time owners. They’ll readily challenge you for dominance in the pack hierarchy, so it is important to remain confident in their presence and assert dominance without being harsh or treating them unfairly. Additionally, many first-time owners will find malamutes challenging to train. Hip Dysplasia – Caused by malformed hip joints, hip dysplasia can lead to mild joint pain or complete lameness, depending on the severity. 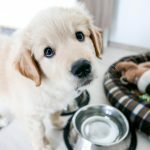 Hypothyroidism – Hypothyroidism often goes unnoticed, but it must be treated to ensure your dog lives a long, healthy life. Fortunately, it is treatable with medications. Chondrodysplasia – Colloquially called “dwarfism,” chondrodysplasia is a developmental disorder that can cause malamutes to suffer from abnormally short limbs. Caring for a malamute is pretty easy for families that are well-suited for the breed. They do present a few special challenges, but their lovable personalities make up for them in many ways. For starters, you’ll need to consider your malamute an “inside” dog. They can be left in a (secure) backyard while you’re at work during the day, but they’ll be miserable if not allowed to come inside with their family at night. And while they don’t bark very frequently, they will howl (especially at night), which may cause problems with your neighbors. In fact, those who spend long times away from the home are not well-suited for this breed. As mentioned earlier, malamutes are strongly pack-oriented, and they don’t like to be left alone for long periods of time. Accordingly, they’re also better suited for families than individuals (although with plenty of interaction and attention, single owners can keep a malamute happy). It is also important to note that malamutes are prone to overheating in warm climates. If you live in the southern U.S. (or some other hot and sunny location), you’ll need to take great care to keep your malamute cool during the summer. Never leave one outdoors without a shaded retreat and plenty of clean, fresh water. It may even be advisable to provide your pet with a cooling mat to lie on when the temperatures soar. Malamutes require the same type of high-quality, nutritious food that most other large breeds need. 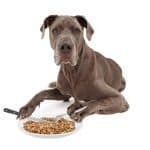 Be sure to check out our review of the best foods for large breeds to check out some of the best options available. Malamutes do shed very heavily, so you may want to consider a food that is rich in omega-3 fatty acids. Omega-3s provide a number of coat-supporting benefits, which may help reduce the amount of hair the shed (slightly). Additionally, Omega-3 fatty acids are also helpful for supporting eye health, which may provide additional value for this breed. Malamutes have very high energy levels and they require the opportunity to exercise for at least one hour every day. This is a very important consideration for those considering adding a malamute to their family. Twenty-minute walks won’t cut it for these dogs – they want to run at full speed for an extended period of time. You can provide this exercise in myriad ways. Some malamutes may enjoy chasing a tennis ball or frisbee, although they’ll rarely prove to be effective retrievers. Others may enjoy swimming or participating in weight-dragging sports. They’re fabulous companions for joggers and runners, and they’ll likely be willing to run for longer than you are. Malamutes are intelligent dogs, who are sharp enough to pick up basic obedience commands with ease. However, they are also an independent breed, who occasionally marches to the beat of their own drummer. Treats will often help facilitate training sessions, and copious amounts of positive reinforcement are imperative. Note that malamutes are often willing to challenge their owner’s dominance, so it is important to establish a pack hierarchy as early as possible. Malamutes have a thick double coat, which sheds moderately all year long, and especially heavy twice each year. You can help reduce the amount of hair coating your belongings by brushing your malamute regularly, but there’s no way to eliminate the problem completely. But despite being rough-and-tumble dogs who love the outdoors, malamutes are relatively fastidious animals, who groom and clean their own coat frequently. This reduces the frequency with which you’ll need to bathe them. Typically, malamute owners find four to six baths per year to be sufficient. As with all other breeds, you’ll want to brush your malamute’s teeth frequently and keep his nails well-trimmed. 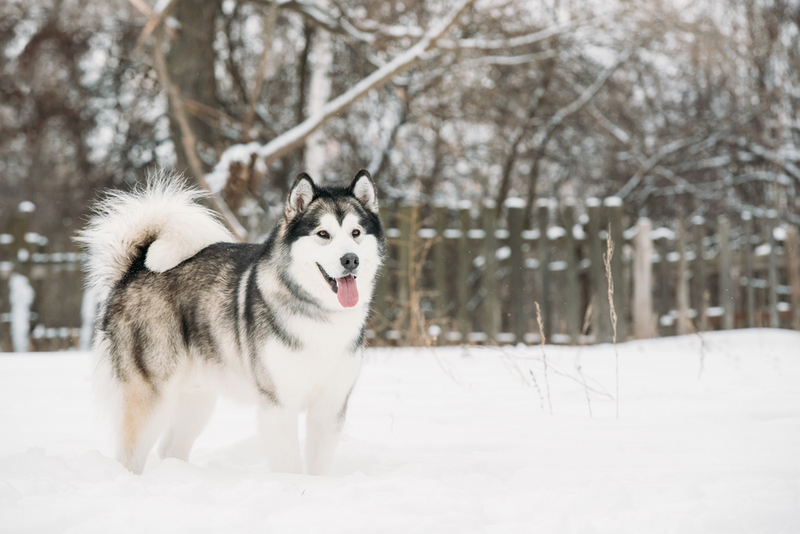 Malamutes aren’t as common as huskies or golden retrievers, but it will rarely be difficult for prospective owners to find one of their own. There are a number of breeders who work with the breed, and there are even a number of rescue organizations that help place surrendered malamutes with loving families. If you’d like to start with a malamute puppy, check out the AKC’s puppy finder. This tool will allow you to sort breeders by a number of different criteria, so you can find one in your area that you feel comfortable with. Similarly, there are several malamute rescue organizations in operation. The Alaskan Malamute Assistance League is one of the better examples, but you’ll certainly find others if you perform a simple Google search. Many people who are thinking about adding an Alaskan malamute to their family have questions about the breed. We’ll try to answer a few of the most common questions people have about these fun-loving dogs below. Some dogs that generally resemble malamutes have blue eyes, but this is a disqualification according to the AKC breed standard. Alaskan malamutes should have brown, almond-shaped eyes. Yes – like all other dogs, malamutes shed. In fact, malamutes are relatively heavy shedders throughout the year, and they’ll “blow their coat” twice per year, during which they’ll shed especially heavily. Do Alaskan malamutes like to swim? All dogs are individuals, so some do seem to enjoy swimming. However, while there’s nothing wrong with giving your malamute the chance to swim, few seem to enjoy it in the same way some other breeds do. Do Alaskan malamutes bark a lot? No. Malamutes are vocal dogs, who often howl and “talk” to their owners, but they aren’t frequent barkers. Nevertheless, they aren’t an ideal breed for those who need a quiet dog. Do Alaskan malamutes run away? Alaskan malamutes certainly bond strongly with their families, but they will not hesitate to run after “prey” or wander off and explore the neighborhood for hours if given the chance. Accordingly, these are strictly “on leash” dogs, who should only be taken off leash in secure, fenced areas. What colors do Alaskan malamutes come in? Malamutes come in a variety of colors, ranging from black to red. Most display several different colors on their coats, including copious amounts of white or off-white, and they frequently have dark-colored trim. Malamutes are large dogs, who may deter criminals by virtue of their size, but they are not particularly protective. They’re more likely to greet an intruder with a wagging tail than a snarling expression. Do Alaskan malamutes get along with cats? 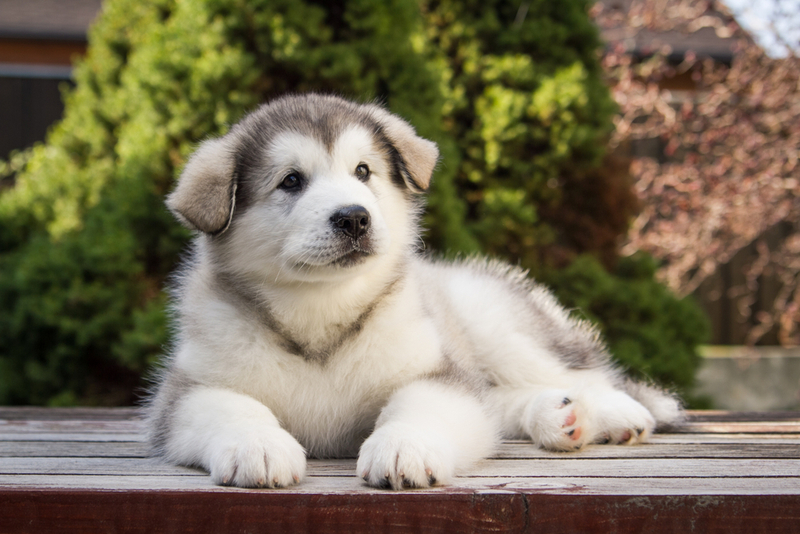 Wrapping Up: Is the Alaskan Malamute for Your Family? The Alaskan malamute is clearly a fantastic breed, but they aren’t right for many families. They shed an enormous amount of hair, which may cause problems for those who suffer from allergies or need a tidy home. They also need to be able to exercise a great deal on a daily basis. They’ll also develop destructive behaviors if left alone for long periods of time. However, if you have a large family (which will mean they have plenty of pack members to provide your pet with attention) and you like to run or jog, they may be a great choice. They’re also exceptionally friendly, so your friends and family will likely find them a pleasure to hang out with. 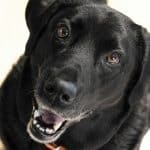 Just be sure that you think carefully about the decision and be sure you can provide the things these wonderful dogs need before adding one to your home.